This edition of The Pickwick Papers includes a Foreword, Biographical Note, and Afterword by Nancy Springer. The Pickwick Club was founded by the most learned minds in London for the purpose of making a scientific tour of the world. Its distinguished members include Mr. Samuel Pickwick, Esq., G.C.M.PC., presiding; Augustus Snodgrass; Nathaniel Winkle; and Tracy Tupman, Esq. Yet no sooner have these gentlemen begun their historic journey than they are set upon by a charming but notorious con man, Alfred Jingle. 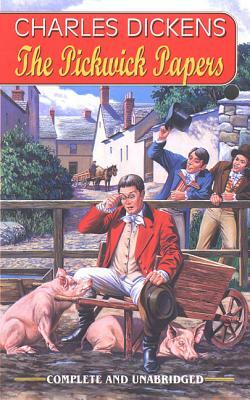 So begins a series of hilarious misadventures that takes the incorrigibly innocent Pickwicks wandering around England, coming in contact with some of the most colorful and comical characters in all fiction, including Dr. Slammer, Dismal Jemmy Hutley, Job Trotter, Wilkins Flasher, and Mr. Serjeant Buzfuz. This was Dickens' first novel--and remains his funniest and most loved.